Stephen King’s new nail-biter “Finders Keepers,” the sequel to “Mr. Mercedes,” spins a suspenseful tale around an unpublished novel by a popular author that resurfaces decades later. Imagine this: You are in possession of unknown and unpublished works of a respected, famous (and now dead) author. What would you do? Would you try and sell them on the black market? Would you keep them under lock and key and tell no one? What if someone found out that you had them? What would you do to preserve them? In “Finders Keepers,” Stephen King’s fast-paced sequel to his great 2014 detective novel “Mr. Mercedes,” several characters are presented with these questions. As the new story begins, reclusive author John Rothstein is awakened by three masked intruders in his rural New Hampshire cabin one early morning in 1978. Yes, they want his money, but could Rothstein be hiding a final, unpublished novel? Morris Bellamy, the group’s leader (and big Rothstein fan — shades of Annie Wilkes in “Misery”), is determined to find the hidden literary treasure and to give the author a piece of his mind. This opening chapter ends with a literal bang, leaving Rothstein dead and Bellamy on the run, in possession of something he’s only dreamed about: an unpublished work by his favorite author. We then jump forward a few decades and meet the Saubers, an all-American family of four, living in the same unnamed Midwestern city that was the setting for “Mr. Mercedes.” Dad Tom is heading to a job fair — the same deadly job fair that opened “Mr. Mercedes.” Tom survives the horror that happens there, but he is gravely injured, and the family’s financial situation starts to decline. 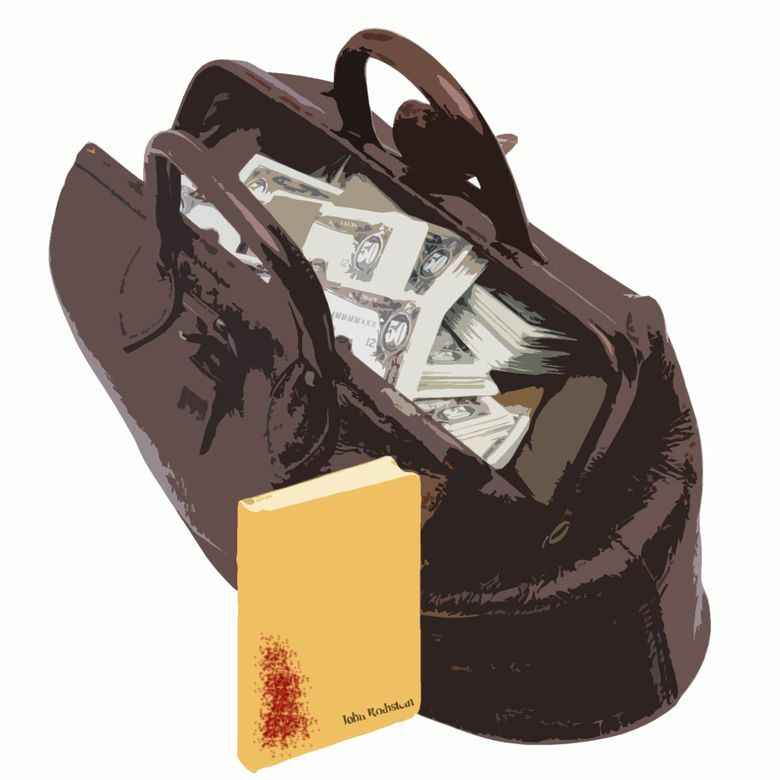 When, years later, teenage son Peter Saubers discovers a duffel bag containing thousands of dollars and the countless notebooks of Rothstein’s stolen work buried near his house, he is delighted to use the found money to help is family. But how did this literal buried treasure get there, and — more important — will someone come looking for it? We don’t meet retired detective Bill Hodges (the hero everyman of “Mr. Mercedes”) until page 157, when he’s working a case at the airport. He’s moving on with his life after the events that ended “Mr. Mercedes,” and he has created a company called “Finders Keepers” with two other characters from the first book: socially awkward Holly Gibney and college student Jerome Robinson. King has remained such a renowned and popular author by tapping into basic human truths. We discover what sets Bellamy on his criminal course and the source of his capacity for violence. We follow young Peter as he acquires his love of literature — from one of those memorable teachers who make it come alive — and is then torn between the love for his family and the way the world actually works. And what a delight to have Bill, Holly and Jerome back working on this new case. King gives the reader a little character development here, some plot progression there, until the inevitable finale — the final third will be devoured, likely in one sitting. Yes, there is violence: a brief visit to that job fair where Tom is injured, and some very nasty business involving Bellamy and an ax. By King’s standards it’s fairly mild, but sensitive readers beware. And speaking of villains and violence, what about Brady Hartsfield, the intelligent and disturbed young man who wrought such havoc in “Mr. Mercedes”? Readers of the first book will know he survived the previous story only to end up a vegetable in a Traumatic Brain Injury Clinic. Hodges visits him there twice in “Finders Keepers,” and without giving too much away, I have a feeling King isn’t done with him yet. He closes this second book of a planned trilogy with just one word (andone that will haunt your dreams for a very long time): Clack. Doug Knoop is the listings coordinator for The Seattle Times.